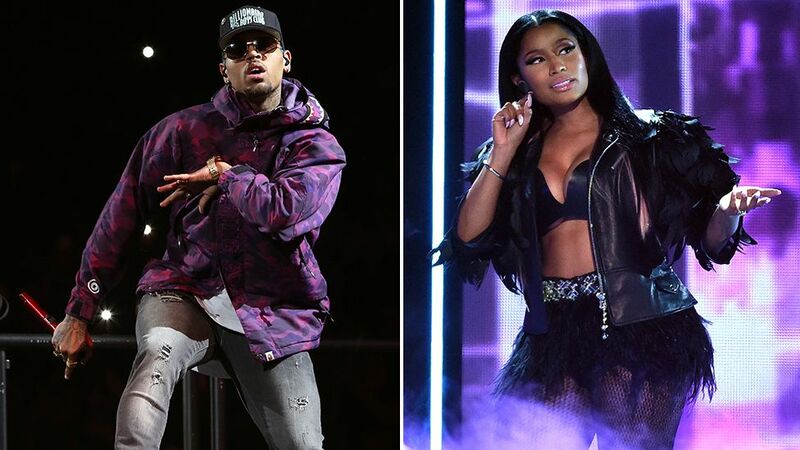 Chris Brown and Nicki Minaj top the nominations for this year’s BET Awards with six nods each. Brown will compete twice in the video of the year category for his tracks Loyal and New Flame. Minaj is up for the top prize with Anaconda while Beyoncé and Lil Wayne follow with four nominations each. Beyoncé’s 7/11 will also compete for video of the year, along with Big Sean’s IDFWU and Common and John Legend’s Glory, from the film Selma. Brown’s nominations include best male R&B/pop artist and viewers’ choice award. He’s nominated twice for best collaboration on Loyal, which features Lil Wayne and Tyga, and New Flame, which co-stars Usher and Rick Ross. Minaj is nominated for best female hip-hop artist, best group as a member of Young Money and best collaboration for the remix of No Love with August Alsina. She’s nominated twice for the viewers’ choice award with Only and as a guest on Rae Sremmurd’s Throw Some Mo. Other nominees include The Weeknd, Fetty Wap, FKA twigs and Sam Smith, who’ll compete for best new artist. Empire stars Taraji P Henson and Jussie Smollett are nominated for acting awards, while Serena Williams and Floyd Mayweather Jr earned sports nominations. The BET Awards will air live from the Nokia Theatre in LA on 28 June.